Thank you Joann for sponsoring this post. 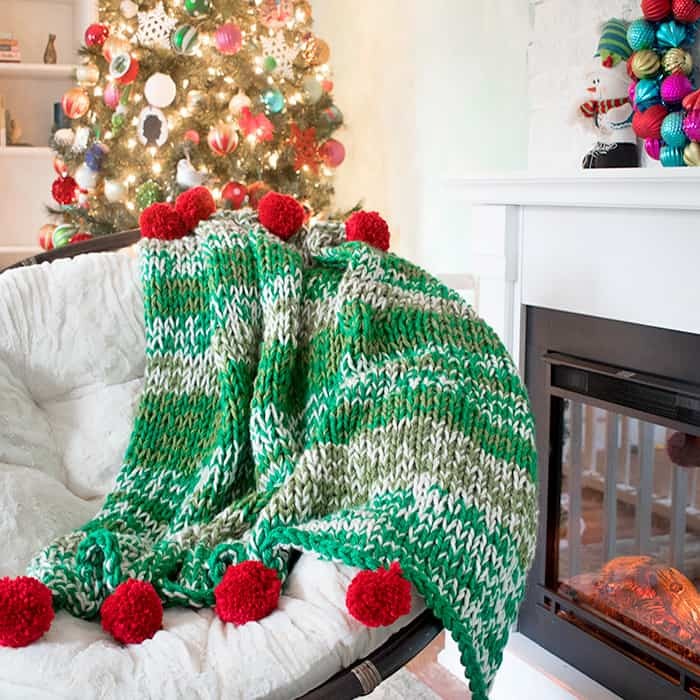 Nothing says “holidays” like a warm and cozy throw! They’re perfect for lounging in front of the fire. Knit throws are also a great way to add color to a room. These holiday colors make my living room look so festive! 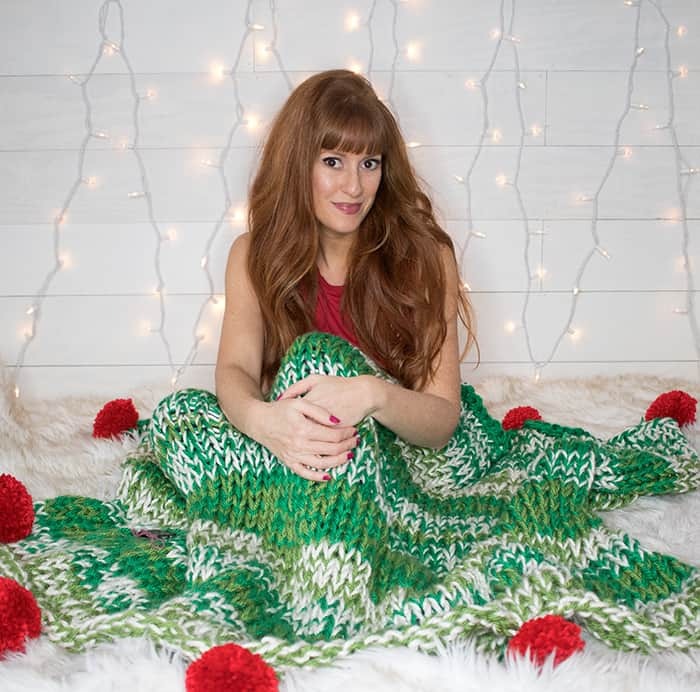 This Holiday Throw Knitting Pattern is the perfect addition to your home this season. 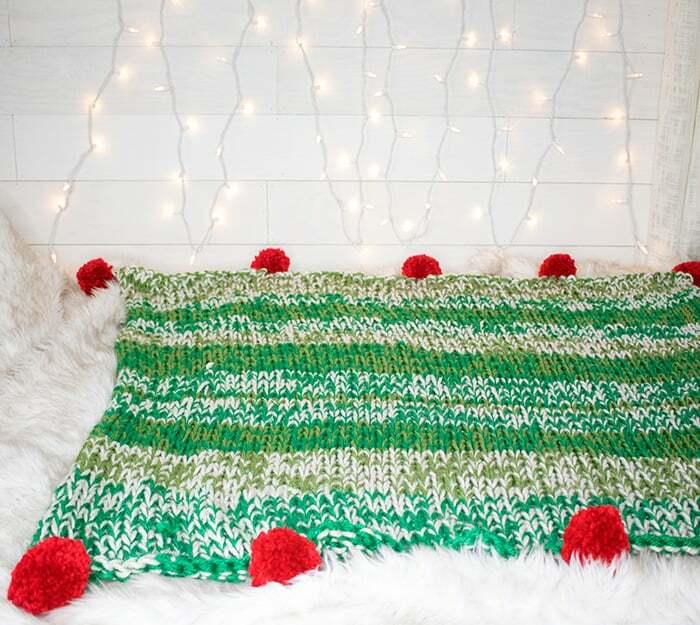 This holiday throw works up fast thanks to the super large needles. 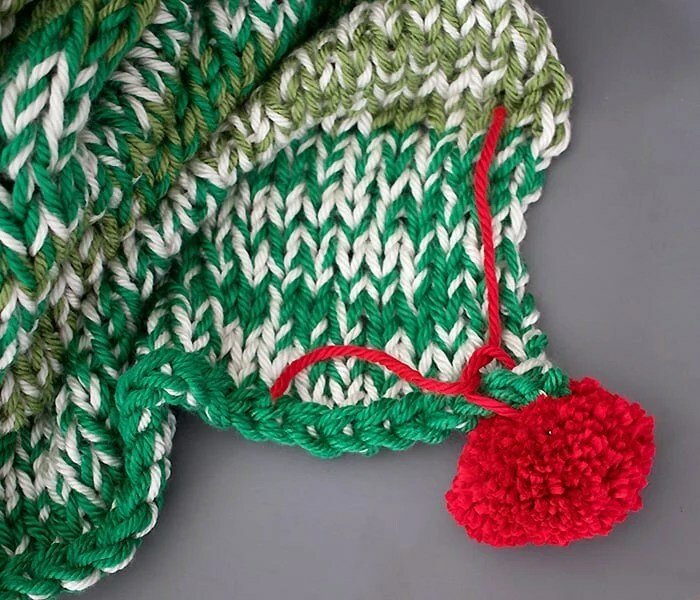 The multi color pattern is created by knitting two stands of yarn at the same time. 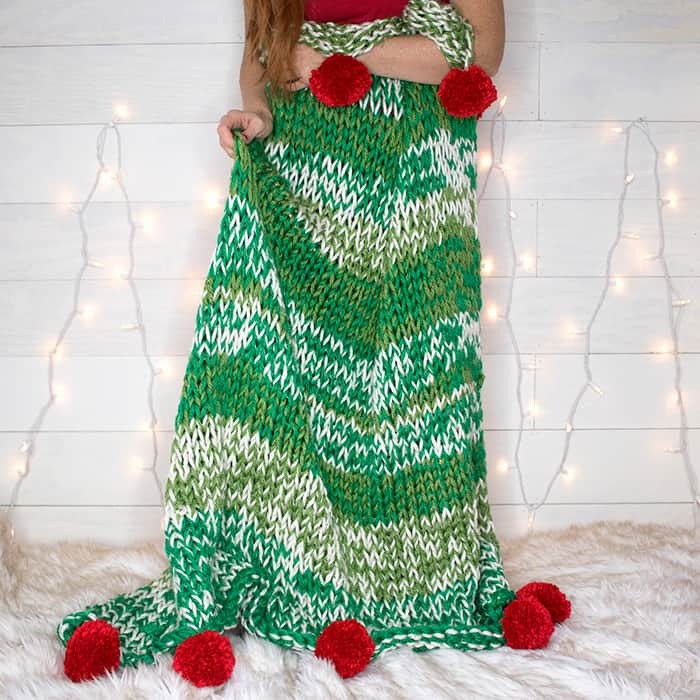 This technique not only creates a pretty design, it makes the throw so warm! I used Lion Brand’s Hometown USA from Joann. It’s soft, easy to work with and the colors are beautiful. Also, it’s currently on sale! 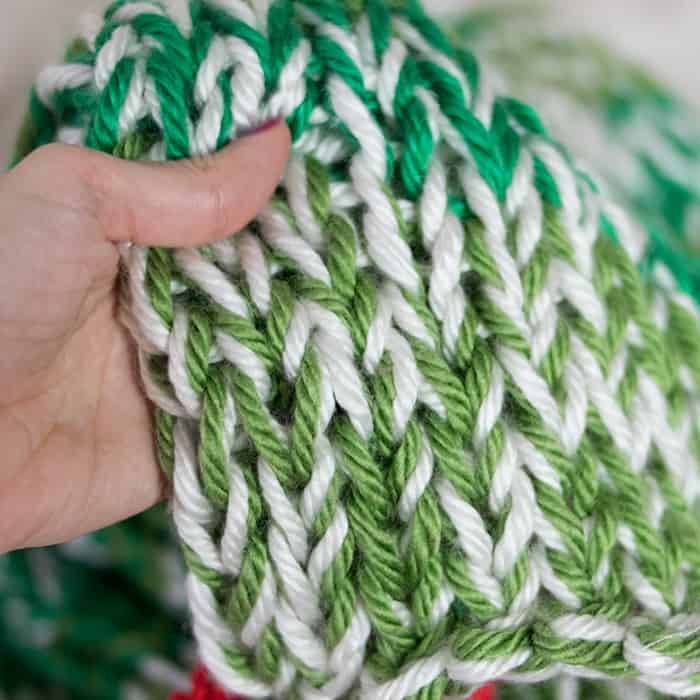 Note- This pattern is worked using 2 different color yarns at the same time. Cast on 50 sts. Do not join the ends together. Work in Stockinette stitch until piece measures 60 inches. Bind off on a right side row. 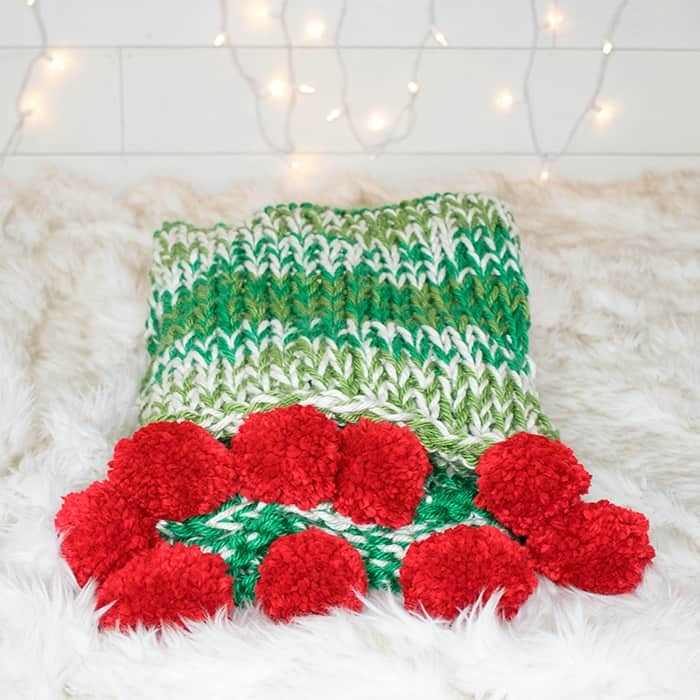 Using the pom pom maker, make 5 pom poms for each of the end sides of the throw. 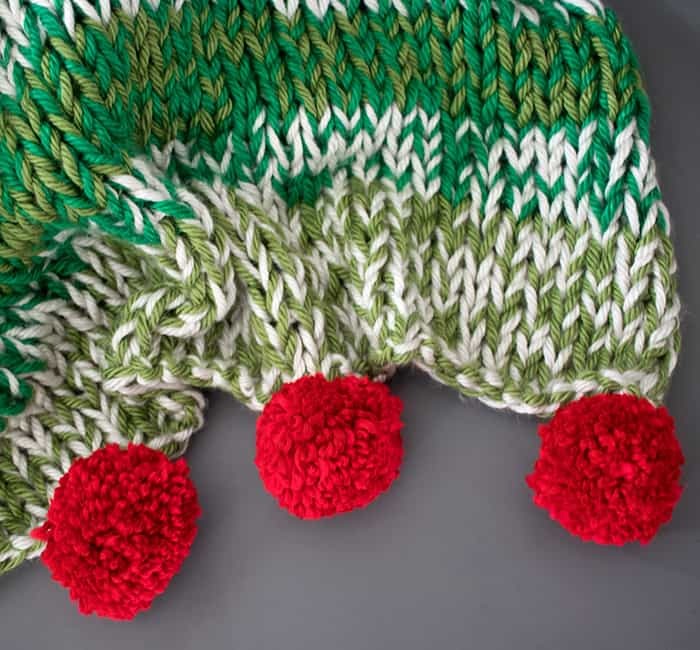 Tie the pom poms on approximately 10 inches apart.